So the saga seems to have ended. Vodafone’s foreign transactions were truly foreign, India’s Supreme Court says. That’s $2.7 billion the company doesn’t have to pay. Those who’ve been following this blog might remember the story. Hong Kong company Hutchison owned a stake in its Indian cellphone joint venture with the Indian company Essar, and it wanted out. It held its share in a Cayman Island subsidiary. This it sold to an eager buyer, the European company Vodafone, which was looking to get into the Indian market. Vodafone also had a Cayman Island subsidiary, which bought the Hutchison shares in the cell-phone company for $11.1 billion in 2007. The deal was done, and everyone went home happy. No taxes were due in India, they believed, because the whole thing was transacted offshore. 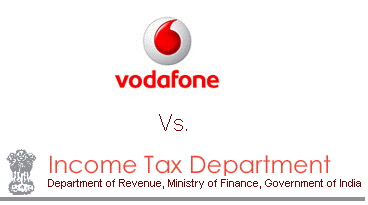 Except that the Indian Tax Department came after Vodafone for $2 billion in taxes. It wasn’t really an offshore deal, they claimed, there was an Indian nexus. Taxes should have been withheld. Nonsense, said Vodafone. It was legally offshore. Besides, if anyone did owe taxes, it would be the now-unavailable seller, Hutchison. Not the buyer. Technically, they were correct. The question was, would India’s courts allow the Tax Department to argue that it was a technicality-as-eyewash? They did. The Tax guys went to court; much of the battle was about whether the Tax authorities actually had jurisdiction over this transaction. It’s been a longish battle, some of which I chronicled here. At the time, things didn’t look good for Vodafone. The Bombay High Court had already ruled against them. They’d been asked to place funds in escrow in case they lost. The case went up to the Supreme Court. The Supreme Court, which had explicitly allowed this case to continue, finally gave its ruling today: The Indian Tax authorities don’t have jurisdiction over the overseas transaction. There was no “Indian nexus.” Vodafone don’t have to pay anything; they’ll get back, with interest, the funds they have in escrow. I have to say, I’m pretty impressed with how it’s all played out. Both sides have had their say, in great and excruciating detail. There’s a decision that clarifies the law. India’s legal system has actually worked like it’s supposed to. It also proves that it’s never over until it’s over. This entry was posted in Doing Business in India, Regulations and tagged Doing Business in India, legal system, taxes, vodafone. Bookmark the permalink.